StatusLineHighlight : Change statusline color depending on buffer state. default use different colors to differentiate the buffer states. highlightings for different status lines. changed status line colors, e.g. when using :view, :pedit, :help, etc. because it has a blue status line. This script is also packaged as a vimball. If you have the "gunzip"
sourcing the vimball or via the :UseVimball command. To uninstall, use the :RmVimball command. - Requires Vim 7.0 or higher. a hl-StatusLineNC for all non-current windows. StatusLineHighlight-1.10.vmb.gz 1.10 2018-11-05 7.0 Ingo Karkat - ENH: Handle hl-User1..9 highlighting by replacing %* and %0* with the custom statusline highlighting. Previously, the custom statusline highlighting provided by this plugin stopped after the end of a User highlighting. - Minor: Make substitute() robust against 'ignorecase'. 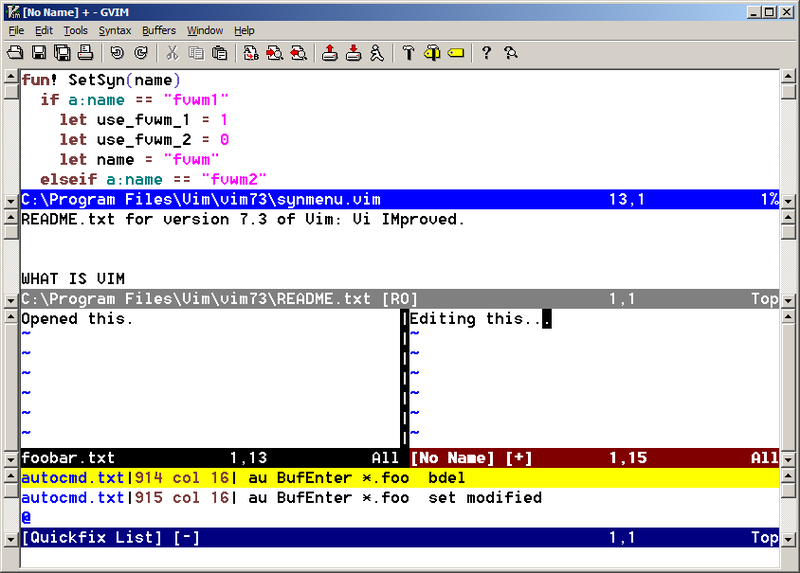 StatusLineHighlight.vba.gz 1.01 2011-07-01 7.0 Ingo Karkat Avoid losing the statusline highlightings on colorscheme commands.